Backstory: She was formally a he, known as Olympic gold medalist decathlete Bruce Jenner. She is father and step-father of our favorite reality television squad The Kardashians and the husband of the matriarch Kris Jenner. 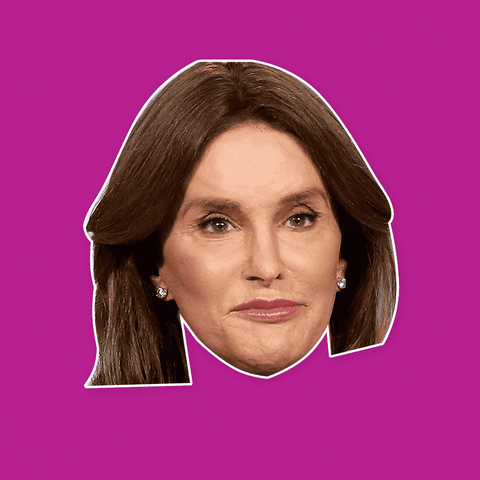 After years of being featured as Bruce on Keeping Up With The Kardashians, she revealed herself as a trans-woman in April 2015. Since her transition, Caitlyn Jenner has become the face of the trans community, advocating for increased respect and acceptance for transpeople. There's probably a lot of people that disrespect her but will probably try to holla if they saw her at the club. Go ahead wit yo fine self boo. 🤩DON’T JUST WEAR THE CELEBRITY, BECOME THE CELEBRITY - The former Kardashian king turned queen gets disrespected all the time but turns it all positive.